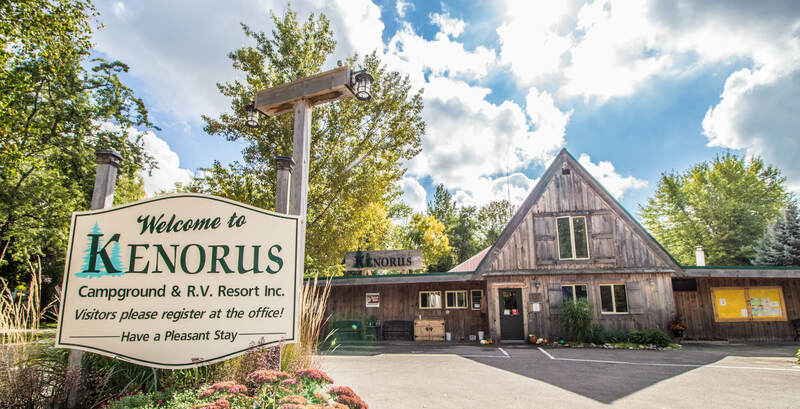 Kenorus Campground is located along Highway 21 ( fire code 5564 ) between Southampton and Port Elgin in the town of Saugeen Shores. Head north on Highway 21 towards Southampton. The camp is on your right, watch for the signs. Head south on Highway 21 towards Port Elgin. The camp is on your left a little distance after the curve and past HiBerry's produce market.